Miami (AFP) - An ancient plant that grew underwater in what is modern day Europe, had no petals and bore one single seed may have been the world's first known flowering plant, a study said Monday. 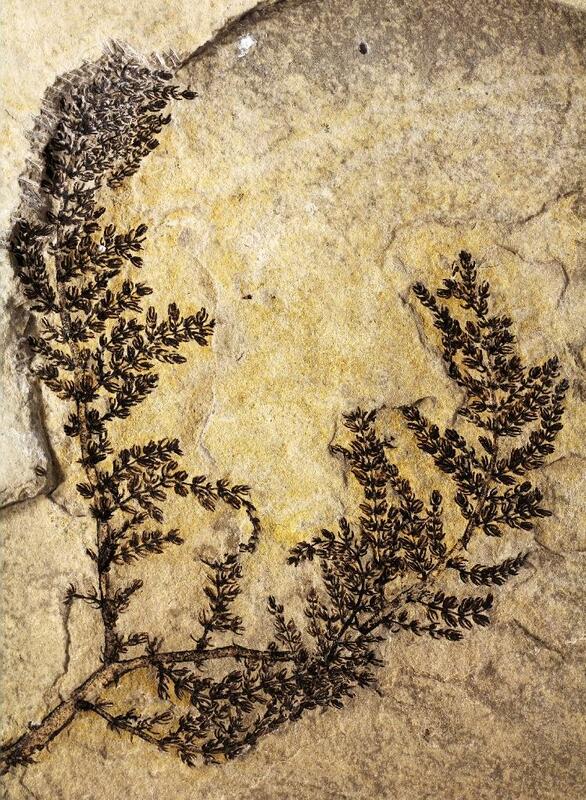 More than 1,000 fossils of the plant, called Montsechia vidalii, were pored over for the new study, which seems to oust a Chinese plant that has also been considered among the first. "A 'first flower' is technically a myth, like the 'first human,'" said paleobotanist David Dilcher, lead author of the study published in the Proceedings of the National Academy of Sciences, a peer-reviewed US journal. "But based on this new analysis, we know now that Montsechia is contemporaneous, if not more ancient, than Archaefructus (sinensis)," a similar aquatic plant found in China. Scientists have known about Montsechia vidalii for a long time. Its fossils were first discovered more than a century ago in the limestone deposits of the Iberian Range in central Spain and in the Montsec Range of the Pyrenees. But Dilcher said many of the fossils were misinterpreted, because Montsechia "possesses no obvious 'flower parts,' such as petals or nectar-producing structures for attracting insects, and lives out its entire life cycle under water." The plant, which may have looked like seaweed that grew in freshwater, contains a single seed, which is the defining characteristic of a flowering plant, or angiosperm. Dilcher said the seed "is borne upside down." The stems and leaf structures of the plants "were coaxed from stone by applying hydrochloric acid on a drop-by-drop basis," said the study. The specimens were then examined under a stereomicroscope, light microscope and scanning electron microscope. They date to 125-130 million years ago, around the same time as dinosaurs such as the iguanodon and brachiosaurus roamed the Earth, the study added. "The reinterpretation of these fossils provides a fascinating new perspective on a major mystery in plant biology," said Donald Les, a professor of ecology and evolutionary biology at the University of Connecticut, who authored a commentary on the discovery in the same journal. "David's work is truly an important contribution to the continued quest to unravel the evolutionary and ecological events that accompanied the rise of flowering plants to global prominence."